• All formal worship of Shri Sai like Mangal Snan (Holy bath), Abhishek, Aarti are performed in the Samadhi temple only. The temple opens at 5.00 a.m. but the devotees make the darshan queue before 4.00 a.m..
• No offerings like garland, flowers, coconut, cloth etc. are accepted during Mangal Snan (Holy bath), ceremonial worship (Shodashopachaar) and aartis (all four aartis). • Any offering like any ceremonial gift or cloth are registered in the Donation Office of the Trust before being offered in the temple. In case, devotees wish to take back the offered cloth as a token of blessing they need not to register the same in the office. The offered cloth and articles come for sale at sale counter of the trust. The public auction takes place on Thursday and Sunday around 10.00 a.m. near Satyanarayan puja hall. • If devotee wishes to donate cash, should either deposit it in the Donation Office (with due receipt) or put it directly into one of the donation boxes, placed at all important places of temple complex. • Photography (still or movie) is strictly prohibited during Mangal Snan (Holy bath) of Baba and Aartis (all four aartis). Devotees may take photographs during the hours of darshan only, for video recording a prior permission of the Temple-in-charge is required. • In the Samadhi temple for standing in the main hall, the arrangement of queue for ladies and gents is separate. This should be particularly borne in mind while taking along the small children. • There is by and large no restriction on darshan during the day in Dwarkamai masjid, Chawri, Gurusthan and Nanda deep except a few minutes while attending to the dhuni or offering food to Shri Sai. • In Chawri ladies are not allowed to enter the section where Baba used to retire to sleep in old times. • The main temple (Samadhi Mandir) is open from 5.00 AM to 10.30 PM, where as Dwarkamai masjid, Chawri, Gurusthan are closed around 8.30 PM. • On the main day of celebrations on important occasions like Ram Navami, Dussehra, Guru purnima the temple is open throughout the night for darshan. On such occasions special programmes of devotional songs are organised by the Trust. On the days when the temple is open through night, the ‘Shej aarti’ (Night aarti) is not offered and the daily programme of the following day begins without the morning aarti (from Mangal Snan onwards). • On every Thursday ‘Palki’ procession takes place at around 9.15 p.m. from Samadhi Mandir to Dwarkamai and then to Chawri. On important occasions like Ram Navami, Dussehra, Guru purnima, Shivratri and Ekadashi (Ashaad / Kartik) ‘Palki’ goes around the Shirdi village. Shej aarti (Night aarti) is offered only after the ‘Palki’ returns to the Samadhi temple. • Always keep your footwear safely at the footwear-counter provided in the temple complex. If they are not deposited in the indicated place they may get lifted in no time! 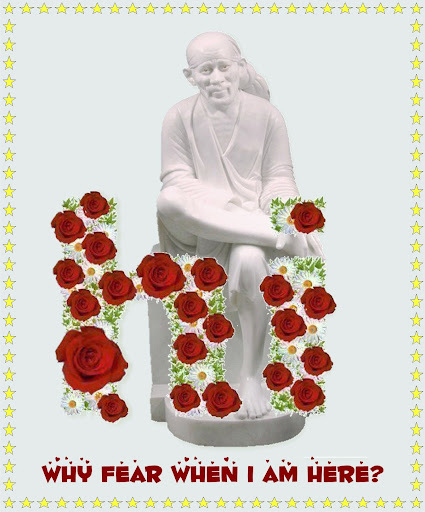 • All the priests and workers in the temples are employees of the Shirdi Sai Sansthan. Therefore, no gifts or donations should be offered to them. • Be cautious about the prices while taking the garland, coconut etc (as a package) from the nearby shops. You may avoid being overcharged by them. • A similar word of caution for those who offer to donate milk to the dogs and food to the beggars. • Avoid the touts for getting an accommodation. It is advisable to approach any hotel/lodge directly. There is a wide choice of hotels/lodges in Shirdi, suiting the budget of all. o A canteen for the tea/coffee/refreshments. o A canteen ‘Prasadalay’ giving subsidised meals. o State Transport Bus Booking Counter. o Lockers to keep the things safe when the visit to Shirdi is for a few hours at 'Sulabh' complex, situated near 'Prasadalaya'. • Udi (sacred ash) is the most blessed thing to take home with you from this pilgrimage. It is distributed (a spoonful only) outside the Samadhi temple through the ‘Udi’ counter after Noon aarti and Evening aarti. Thank u som much for this information. I am going to Shirdi in the next month, so it will be of great help. I went there last year also but didn't knew that much. Thanx again. Thanks alot for all your tips. I was actually lookg for something like this. As we r planning for a trip to shirdi. Very useful tips. Most of my trips, I try to book my stay at the Piligrims Inn, run by MTDC. Reasonably good with spacious rooms. I would like to add one suggestion: For those who want to have more UDI, the same can be had at the donation counter by making donations. Quite large packets of Udi are given. Useful when one wants to distribute Udi to friends and relatives on return to origin town. Also Pedhas and other prasad items like sugar candy, raisins are available inside the temple complex itself, reasonably priced. Many thanks for this kind advice. I shall keep it in mind and in the heart. You are ever generous to share it with us. by Sai's grace and blessing I only wish I get a chance to visit Shirdi. Since I will be visiting India very soon I have no clue as to what my plans are. sai's leela are always amazing and wonderful. thanks for the tips and baba bless you always. This time when I went to shirdi, I have observed that the devotees are increasing day by day. Earlier it used to be 1-1 ½ hrs for the darshan but now a days as the rush is increasing it is taking more time for the darshan. I would like to say something regarding the darshan and arati. All those who want to witness the arati, for example afternoon arati it is better to reach 2hrs early in normal days. As the arati starts at 12pm, the gates are closed at 11:15am and opened at 11:45am. So it is better to reach the Samadhi mandir well in advance to witness the arati. If we enter into the Samadhi mandir before 11:15am then it is better to stay in prayer hall. Like earlier days, as far as I know, now there is no separate line for the aarati. And the correct timings for the evening arati varies from day to day as it is given after the sunset. If you want to touch the Samadhi, it is advisable not to go right after the arati as there will be a glass wall. So, have the darshan at odd hours like 2-5pm. For the chavadi procession, it is better if you reach 1hour before that is at 8pm and occupy the place behind the rope. Anybody crossing the rope will be removed from there without second thought. If you are planning a long trip, then there are few places around shirdi like ajanta, ellora caves, jyothirlingam, hanuman temple(here hanuman ji is in sleeping position), trayambak, nasik, panchvati, starting for godavari river, shani signapoor etc. for trayambak and panchvati there are so many private vehicles which charges 200rs per head, same for ellora and aurangabad. Thank You for your information, it will be very useful for all. I usually visit shirid and one very good thing I have observed is that-- if there are old aged and handicapped they provide with special permission for Sai Darshin in which there is no necessity to stand in the "Q" for such people. I am going to shirdi for first time,i am willing to take devotees prayers to shirdi. I want to know is there any particular place to leave the prayers. I am planning to visit Shirdi after 20th.. Can any one tell me , Do I get Railway ticket from bangalore to shirdi. Very nice way of putting things..